Munford High School's entry into the area baseball tournament dazzled in 1989, so much so that years later, the team was still counted among the tournament's best, according to The Selmer Independent Appeal. Two players from that team went on to pro careers, one of them being local outfielder Jeff Fayne, The Independent Appeal wrote. But, while the other player to turn pro from that team, Aaron Fultz, went on to make the majors, Fayne did not. He played four pro seasons, but never made AA. Fayne's career began in 1989, taken by the Cardinals in the ninth round of the draft out of Munford High School in Tennessee. He's incorrectly identified on his Best card as Jeff Payne. He started with the Cardinals at rookie Johnson City. He got into 60 games and hit .215. He also hit two home runs and knocked in 20. Fayne moved to short-season Hamilton for 1990. In 58 games there, he hit .250, with six home runs. He spent his 1991 season at single-A Springfield. He made The Decatur Herald and Review that August, with some dugout fun in a photo. He hit .245 in 78 games there. 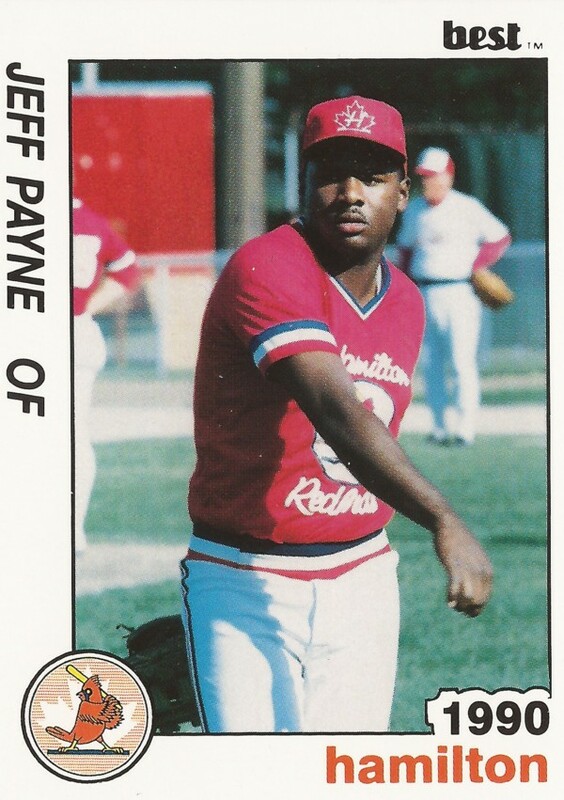 Fayne's final pro time came in 1992 at single-A Savannah. He got into just six games that year, ending his career.